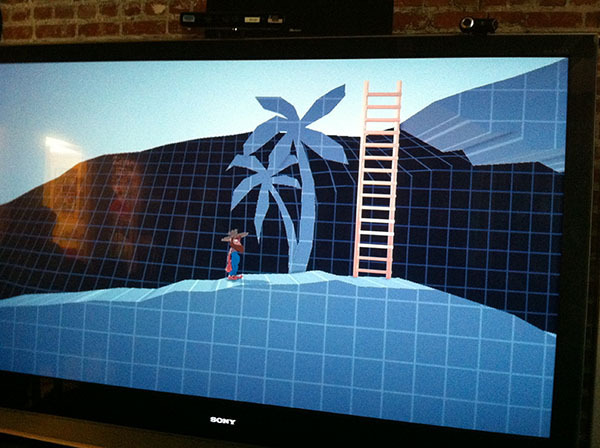 Here are some behind the scenes photos taken during The Cave's early development. Each of our design weeks would focus on one area of the game. The first day was just to talk about overarching ideas, the character's backstory, the purpose of the area and what the main goal of the player/character was. During that first day we'd just throw out wild ideas and see what stuck. The next day we'd take all those crazy ideas and try to arrive on the core puzzles. 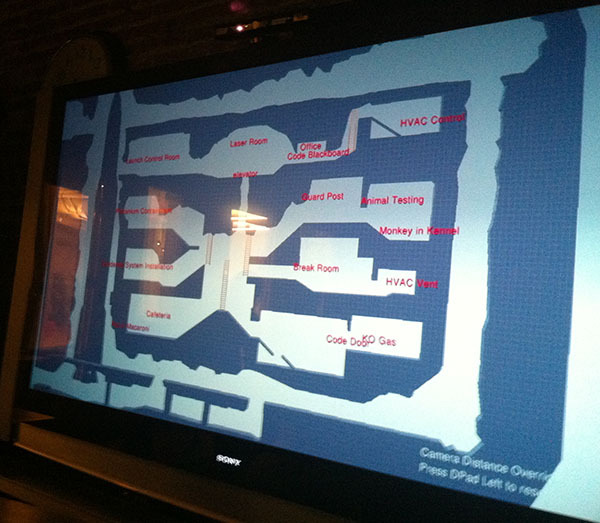 We'd also start to sketch out what the area looked like and where the puzzles might go. On the third day we'd look at what we had and make refinements. It was common to have most everything figure out by the end of the second day, with just one or two issues remaining. On day three we'd resolve those and have a day four if needed. We tried to design for only three days a week to let our minds rest (as well as get everything else done that needed doing). 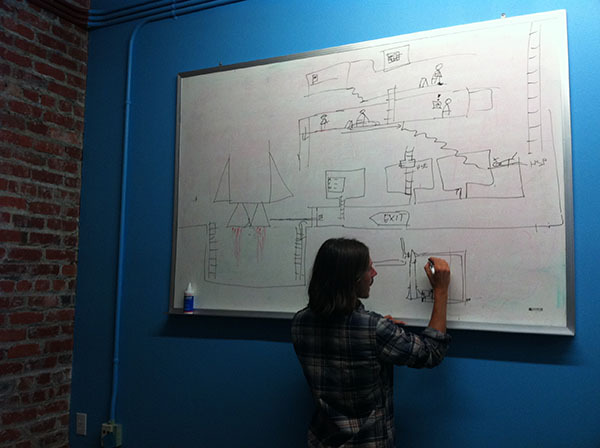 This is Dave Gardner mapping out The Scientist area during one of our design meetings. 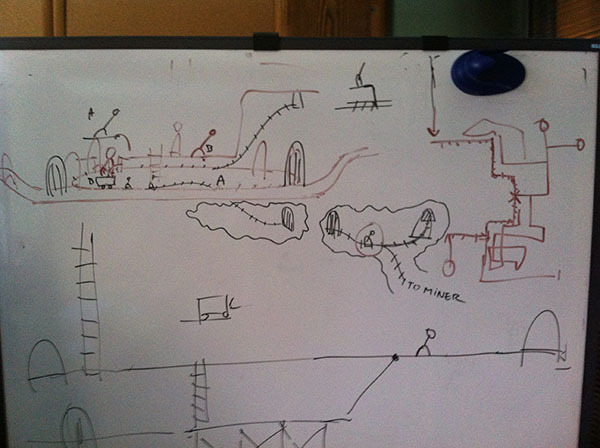 This is a shot of the whiteboard for The Miner's area during day two. Once the area had been designed, a quick grey-box was made using Maya. At this point we could run around using the game's engine and see how it felt. This is a picture taken during one of our team walk-throughs of The Scientist's area. The camera is pulled all the way out so we can see the whole thing. You'll notice the red text that calling out objects and the locations of puzzles. At this point, none of the logic for the puzzles is working, we're just running around. This is a picture of the beginning of The Island with The Hillbilly. What is five + four?